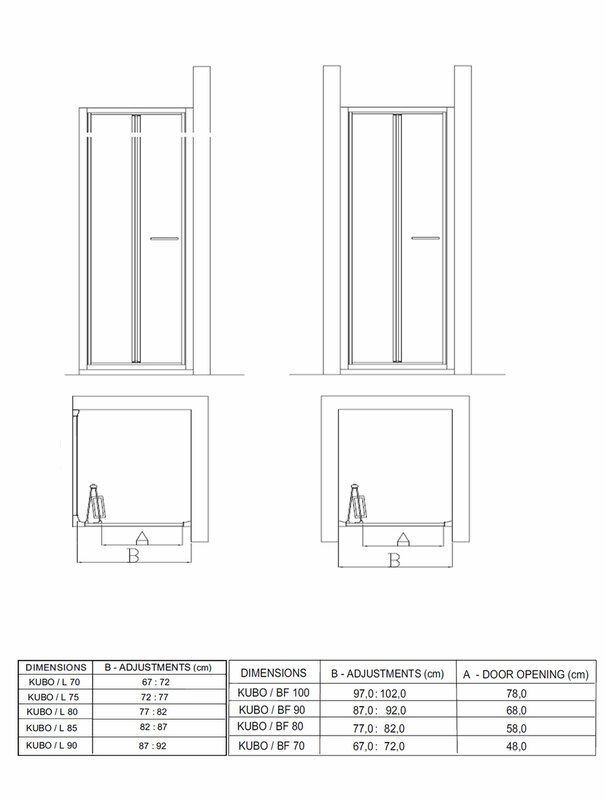 Kubo Bifold door (opening outwards as well as in wards )reversible, with 195 cm height. 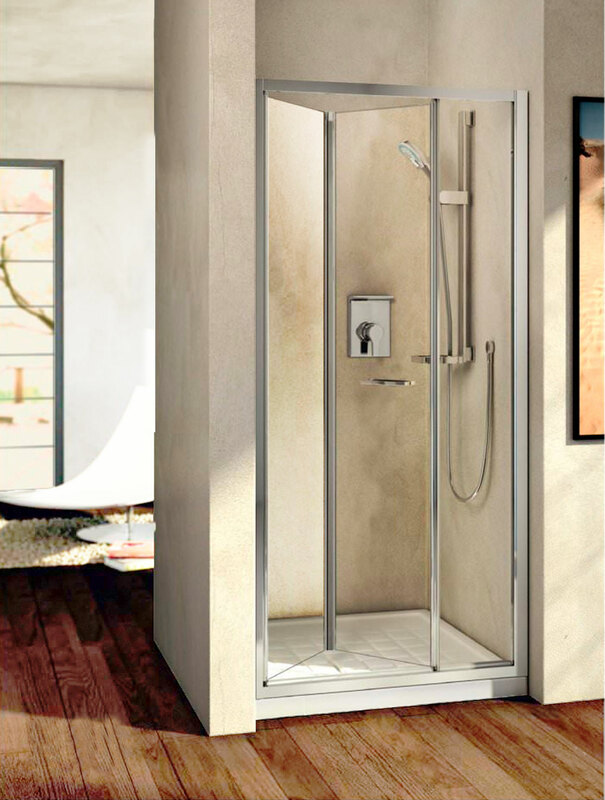 Clear Glass transparent, 6 mm thickness, with ideal clean coating, silver brill frame and handles. 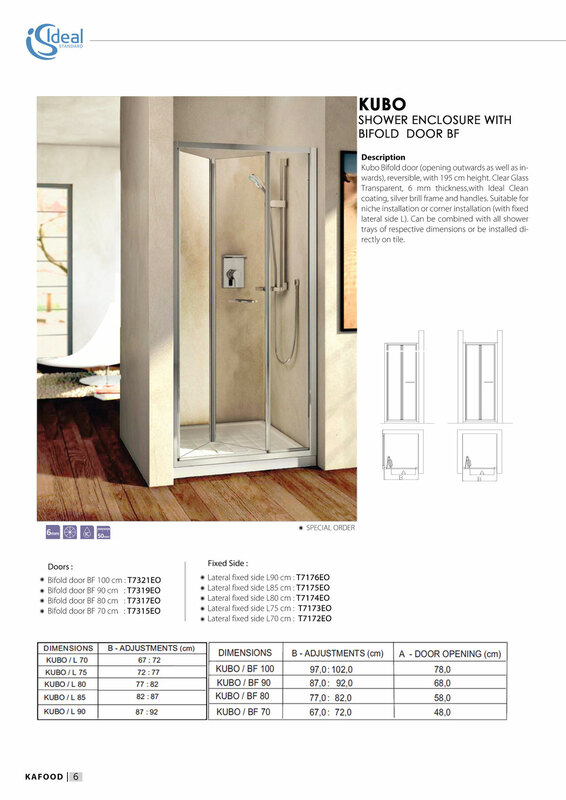 Suitable for niche installation or corner installation (with fixed lateral side L). 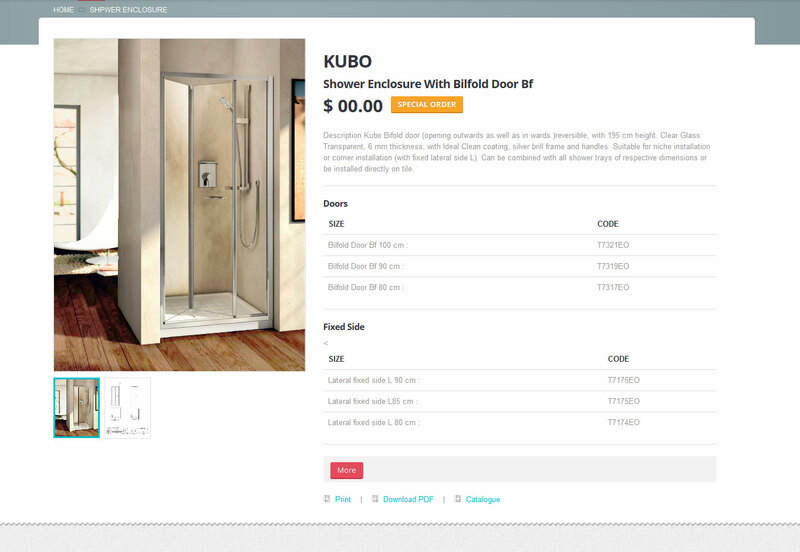 Can be combined with all shower trays of respective dimensions or be installed directly on tile.